Black Friday" didn't become a national term until the 1990s. Black Friday became the biggest shopping day of the year in 2001. Amazon kickstarted its Black Friday deals three weeks before the main event this year! 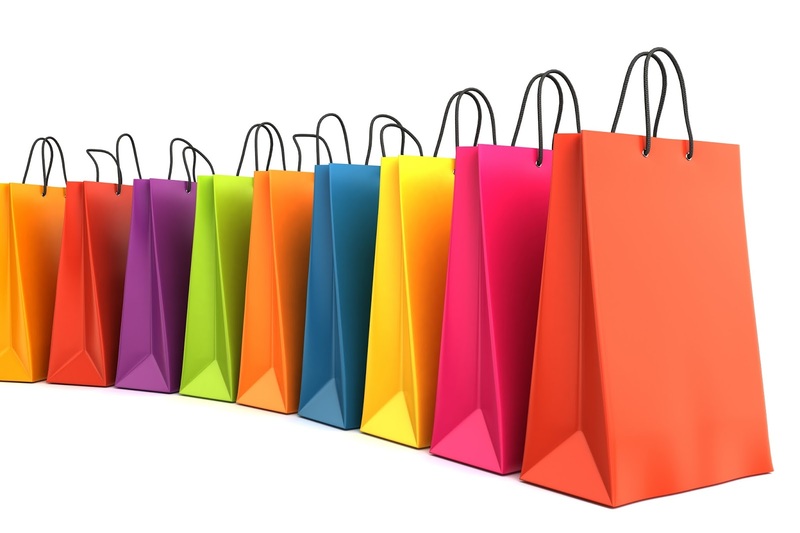 An estimated £810 million was spent online by Bristish shoppers on Black Friday last year. At 64% of purchases apparel is the most popular item in shopping carts on Black Friday. 72% of millennials research shopping options online before going to the store. 11am is the most popular shopping hour among Black Friday shoppers. 56% of purchases are made from desktop computers, and mobile devices. Some shoppers camp out the night before, to get to their favourite stores as soon as deals become available. The most common items bought on Black Friday are electronics such as TVs, laptops and tablets. With unemployment decreasing, predictions are in that Black Friday will be a massive success in numbers. Predictions have been made that when it comes to Toys, you should hold out until December! 40%: holiday shoppers who already started crossing gifts off their list in October. 60: The highest average Black Friday percentage discount you’ll find. 94%: Percentage of those who will make at least one in-store purchase this holiday season. 700,000: Number of workers retailers will hire this holiday season. Don't forget our Black Friday offers tomorrow! Starting at 9am! Meanwhile, view our website design page for more information on our web design services. 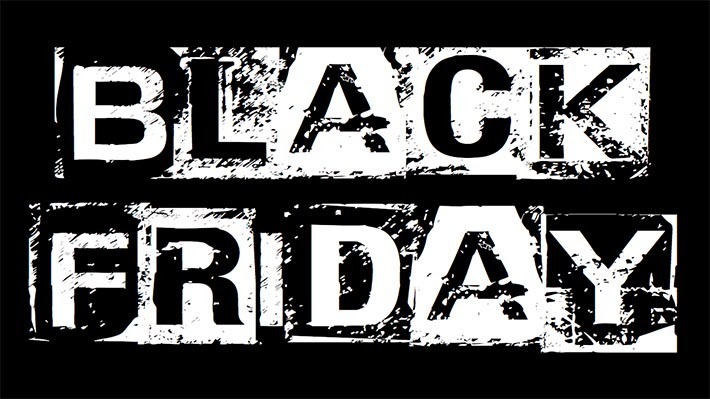 It's Black Friday, this Friday! This is a blog post outlining exactly what you could get your hands on, at a reduced and brilliant price. At Toolkit Websites, our customer service is our passion. So you're in for a treat this Black Friday. If you are new to Toolkit Websites, and you don't have an account with us yet, this will be your chance to get started on a brand new website project with us! Whether you have an existing site that you'd like to improve upon, or if you want to start completely from scratch with a new website design, we're the web design company for you. "Every website design should be unique, original and built with the client in mind. That's why our web designers here at our head office in Southampton create beautiful, bespoke designs. Unlike many other web design companies we do not use pre-made templates." We don't just stop at website design. We can create your brand, including a logo too! Want to take a look at some of our logo designs that we have created previously? Visit our logo design page. For those that already have an account with us, we have a brilliant redesign service where we can offer suggestions and improvements to your website, and then make those changes. With a dedicated project manager, just as you would if you were starting with a new project, you will be guided through the process with ease. As always, you will have access to our Toolkit Content Management System. We provide free and full training on how you can update your website yourself, post publication. It couldn't be more easy. 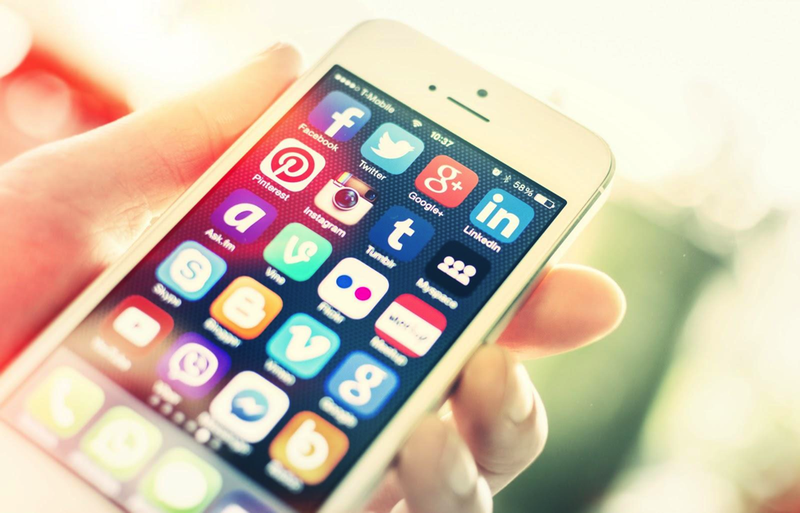 When it comes to Social Media, we have numerous Social Media set-up options, as well as the ability to brand and make your social media accounts cohesive with your website design. Whether you want a Facebook Business page, a Twitter page, Youtube Channel, Google+ page or a LinkedIn business group, we can help. We manage all of our own Social Media in house too, so if you're stuck on ideas on what to post or how to gain followers, you're more than welcome to ask us for tips and tricks. 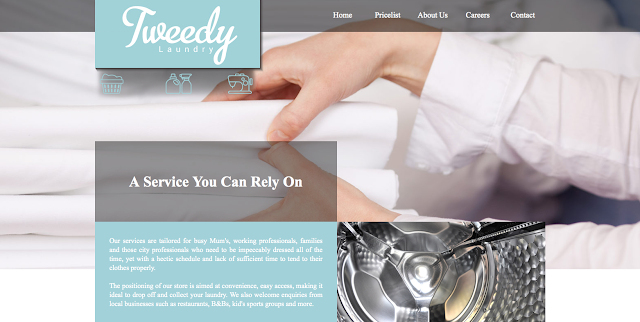 If you want a blog, we also have a service where we can brand this to look like your website also. We create bespoke blog skins, to make sure your brand is consistent across all boards. 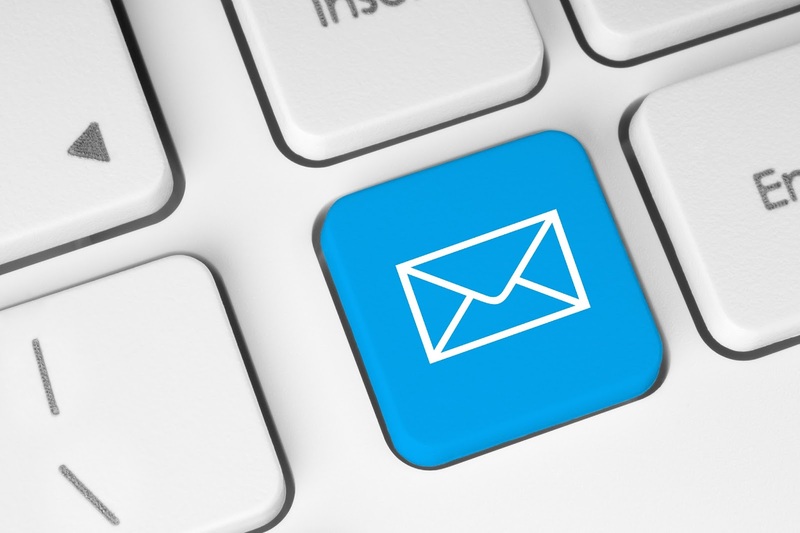 Want to make the most out of email marketing? We provide business class email addresses, and a broadcast account if you'd like to be able to send out bulk email campaigns to reign in more customers. Who said email marketing was dead? Have bespoke made custom templates created for you, and you're on your way! There are also a number of add-on's that you could take advantage of this coming Friday. Whether you want to add drop-down menus to your website for better and easier navigation, if you want headers per page or side bars per page, or if you want an in-page gallery to showcase your imagery there are plenty of things you could add to your website to give it something 'extra.' It might be that you want a private login area for you website, where only members can access the information inside of it, you might want a bespoke form for people to fill out their details and information, you may even want to purchase more stock imagery to give your website a more fresh look. What ever it is that you want, why not give us a call on Friday and find out what deals you can get on our Black Friday promotion? As always, we are happy to answer any questions. Simply call the office on 02380 633 644, or drop us an email! Black Friday is the biggest shopping day of the year, when retailers offer extreme deals and discounts on their services or products as a start of the Christmas shopping season. Last year, British consumers spent £810m on Black Friday. That's a rate of £9,375 every second. This year, sales are expected to surpass £1bn. Yes. But you also have cyber Monday, after the weekend. A day which sees even more online offers than in store. There is also Small Business Saturday which is an initiative started by American Express in the US that was picked up by the UK two years ago. It encourages consumers to support their local retailers instead of huge corporate brands. This year is lands on Friday 27th November. 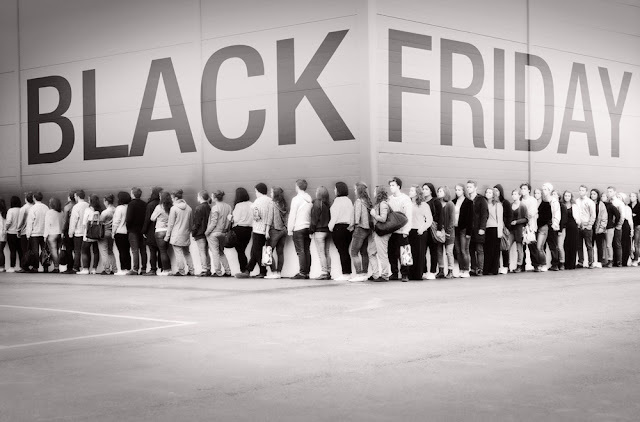 When did Black Friday become an event in the UK? Black Friday first arrived in the UK five years ago when Amazon trialled it out. In 2013, Asda participated in the UK's version of Black Friday, and last year the most major UK retailers including John Lewis, Marks & Spencer, Argos and even British Airways took part. Many retailers report their highest profits on Black Friday. The black portion of the name, "Black Friday" relates to businesses recording their losses in red ink and gains in black. 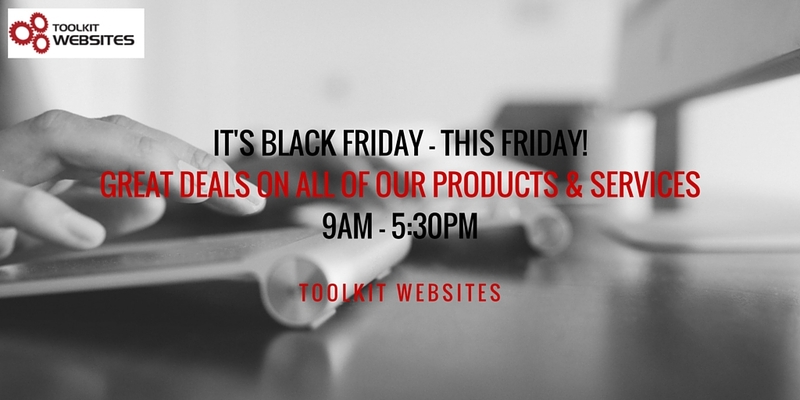 Keep an eye out for Toolkit Websites very own Black Friday offering on Friday 27th November. For one day only! Did you know that it's Black Friday this coming Friday? The biggest shopping day of the year is coming up - and it’s coming up fast. Are you and your business ready? Since the early 2000s, it has been regarded as the beginning of the Christmas shopping season. One of the UK's first black Friday events took place in 2003 in Staples Corner London, hosted by UK retailer Currys. The outlet sold laptops and other electronic devices for under £50. Since then a lot of major online retailers have followed the trend such as Amazon, Littlewoods, AO Retail, Cotswold Outdoor and Apple. It's the perfect time to offer your customers a discounted price for your services, for a limited time only. Not only is this a great marketing tactic and campaign but it gives you the chance to generate new business, get your brand some more exposure and help you achieve more leads. 1. You need to clearly let people know when your Black Friday sale begins, and ends. 2. You need to make people aware of your sale, starting from now, and reminding them nearer to the date of the event. 4. Get an email campaign kick started so that people are aware of what could be up for grabs at a discounted price. 5. Use Social Media to spread the word about the fact that you're participating in Black Friday, and make people aware as much as possible, what your offer is and what they could get a discount on. Our own Black Friday sale is taking place this Friday, from 8:30am to 5:30pm. You will have the chance to get a discounted price on all of our services including a bespoke website design, logo design service, social media set ups, updates or tweaks you need doing on your website, Google Services such as Analytics or XML site maps and much more. Check out Toolkit Websites for our web design services and more information. Did you know that this time next week, it will be Black Friday? There will be deals up for grabs everywhere! From Amazon, to PC World & Curry's, to your local retailers. Even the team here at Toolkit Websites are gearing up for a mega-deal Black Friday, offering new and existing customers the chance to purchase our services at a reduced and great price! So, do deals work for business? And why are they such a success? With the rise in popularity in services such as Groupon, research has shown that people are enticed by a good deal. Whether it's something they've wanted to purchase for a while, or if it's something new or different that they'd like to give a go. The results have found for most businesses offering regular and good quality deals that the amount of repeat business is staggering. The idea behind a good deal is to do just that, entice new customers and to keep them coming back again and again. Not only do you need an offer or a deal that will get people's attention, but you need to be able to hold that attention long after the promotion has ended. In a nutshell, you need to make sure your services and products are good enough in the first place, and if so, to have a strong and solid campaign to draw awareness to your business. The main things to have in mind before looking at offering a promotion or deal to the public is the following. 1. You'll need to make sure your staff are trained to up-sell. If a customer or client hold an interest in a product or service you are offering, your staff need to be well equipped with the right information and encouragement, and not just that, but with recommendations and suggestions of services or products that will compliment what they're interested in. 2. Think about how you are going to target your potential customers. Make the most of your free marketing tools such as Social media and Email marketing. A good campaign utilises all that is available to you, to make sure people are aware of your deal and what they could get from it. People like to pick up information on the go. Having an email come through about your latest deals and offers can entice people to click and purchase. 3. Think long term. Don't just think about getting the deals purchased, think about how these translate in terms of the bigger picture. Do you have a system in place to make sure you can make revenue and continue generating business once the deal has finished? Do you have a strategy to make sure you can turn these customers into repeat customers? 4. Generate interest in your products and services, and capture potential customers contact details. Whether you are offering a free product, or service in exchange for their email address, make sure you honour that agreement, and impress them with your customer service. 5. Think carefully about the deal you are offering. If you are a business where customers have to travel (such as a restaurant) the deal will need to be worthwhile for them to make the trip. If you're offering £5 off then you may not get the amount of customers you were hoping for. They may get in the car and travel further for a percentage off the bill and free drinks for example. You'll need to scope out your target audience and make a deal worth claiming. There a number of things you need to make a campaign a good one. Your business will benefit from something that is well thought out and crafted. An attractive deal, with a great end result will mean repeat buyers and will lead to a profit of revenue. If you are interested in a Broadcast service to manage your Email Marketing, or you'd like to benefit from our Social Media set-ups and branding, don't forget to get in contact with us on Friday 27th for some brilliant deals and offers! It's a question we're asked a lot. And the answer is always different, depending on the project, the industry, the size of the website and more. 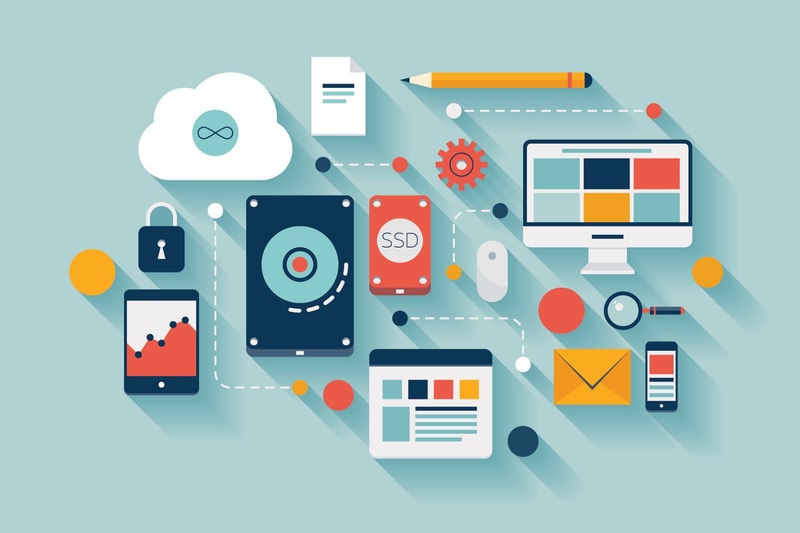 Every website design should be unique, original and built with the client in mind. That's why our web designers here at our head office in Southampton create beautiful, bespoke designs. Unlike many other web design companies we do not use pre-made templates. The amount of time it takes to design and develop a website depends on two things: Us and You. With a responsive web designer and a responsive client, the website will be completed quickly and smoothly. On average, a small sized website should take 4-8 weeks to complete. A large portion of this time is spent by you, as the client, writing or collecting together the necessary text for the pages. Completing the site in 4-8 weeks is considered fast in this industry. The web design industry is a complex one. We love our work, and we take pride in it, meaning we want to spend time getting it right. With new technology and trends coming in each year, we are often making tweaks to our systems and in turn being able to offer more complex, and cool functionality to our clients! Your new website should take time to build. When a company consistently delivers high quality work, they’re going to be in higher demand. A company that does good work AND isn’t busy is a rarity. Building a new website is hard work, and not just for us as the web designers. There are certain things that only you can do. Gathering content, providing feedback, answering questions. Taking the time to respond and provide the necessary input for your project isn’t always convenient, and thus can slow down the project progress. That's normal, and we will fit around your work and your life when necessary. Where complexity is higher or the scope of the project is particularly large, projects can take a number of months or longer depending on a number of factors. It completely depends on your individual project needs. Completing a project in less time is possible and we’ve often met tight deadlines for those that need it. We don’t recommend it, as at the end of the day, the website is the first impression your customers or clients will get of your business. It deserves to have time spent on it to make sure it's right. Your project is best served by having a time line that is reasonable, realistic and achievable. This is why we have an unlimited design change policy, meaning we will work on it until we get it 100% right. 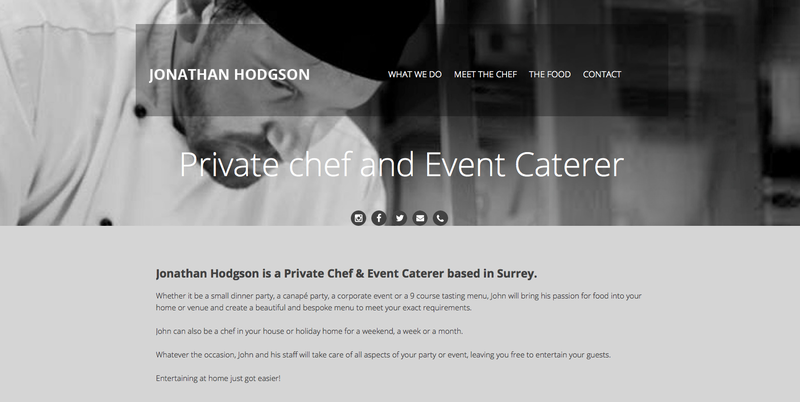 This week's website of the week goes to Chef Jonathan Hodgson. Jonathan provides private catering to bring excellent cuisine to your home. Whether it be a small dinner party, a canapé party, a corporate event or a 9 course tasting menu, Jonathan can bring his passion for food into your home or venue and create a beautiful and bespoke menu to meet your exact requirements. Senior Project Manager Lanara, created the one page responsive website, with the idea of it being black and white as the theme. As a rule, food doesn't look particularly appetising in black and white, and so the image thumbnails that show the culinary delights are in colour. The background image panels have been selected carefully to feature ingredients or close ups of food products. The website features a Google font called "Open Sans" which is softer and more professional than some of the standard web fonts available. Because the website is a one page website, the menu bar has been utilised to jump down to the relevant sections as per the title. This works for the desktop. For people viewing it on a tablet or mobile device, the responsive menu kicks in, working in exactly the same way, but optimised for mobile viewing. 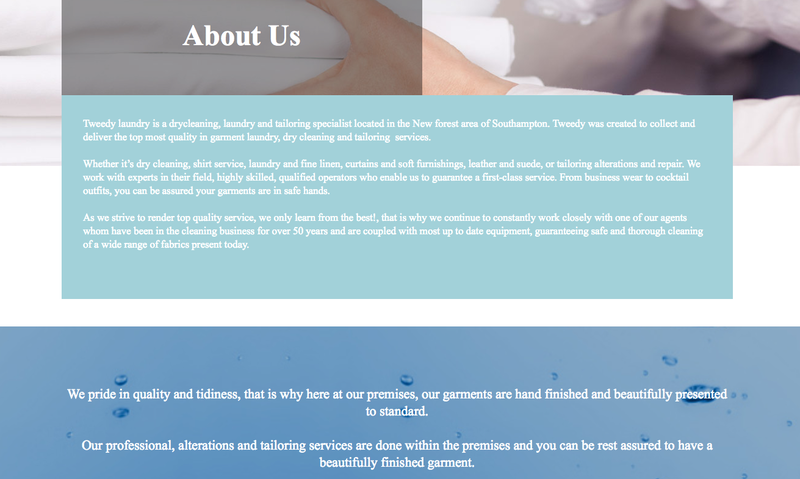 The website brief was that the client wanted something clean, simple but elegant. The target has most definitely been reached, and it has a great balance of refined imagery and good quality content. 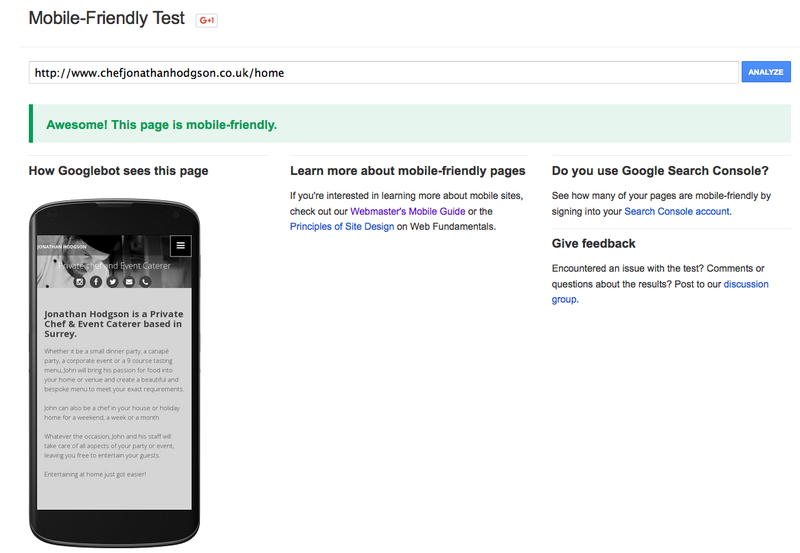 The website passes Google's mobile friendly test with flying colours. With a fresh and modern look, the website has given Jonathan's image a new lease of life. Now he can showcase his best and most featured dishes along with simple and easy to navigate content about his services, background history and credentials. The client kindly awarded Toolkit Websites a 5 star rating out of 5 and said: "I don't believe my experience could have been improved. Toolkit is easy to use and they respond very quickly." Weddings! Don't we all just love a wedding? Whether you're the one planning your big day, or you are the family and friends looking forward to a good knees up, wedding's are a huge industry. Stereotypically renowned to come with stress, a good family argument and constant rearranging of the seating plan, it's been known to be the type of event that can put pressure on the bride and groom to be. But planning a wedding doesn't have to be stressful! In the world of websites, there is a perfect solution when it comes to making sure your guests know what the state of play is, the location, details about transport,hotels and more. Client Care Manager, David Swan, is getting married today. Yes, he is probably with his best men right now gearing up for one of the biggest days of his life! We are guessing a shot of vodka or whiskey might be on the agenda to calm those nerves. When it came to organising the wedding, for David (and his soon to be wife Liddy) a website was a perfect solution to a more streamlined and easy to organise wedding. The website features an image of the location of the wedding, as well as the all important date and wedding gift list as a call to action in the top right hand corner. The website is only one page, meaning that you can click on each of the menu items and be directed down the page to the relevant section. 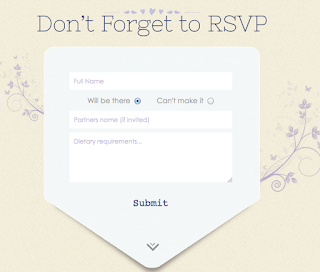 The website takes you through a number of panelled sections including a back story about the couple and how they met, venue information with a handy map and directions for different transport types, and an RSVP form for once people have received their invitation. The additional panels include song requests, accommodation information, the itinerary for the day, information for people invited to the evening reception and finally a who's who panel outlining the important people of the day and their roles. So how has the website helped? 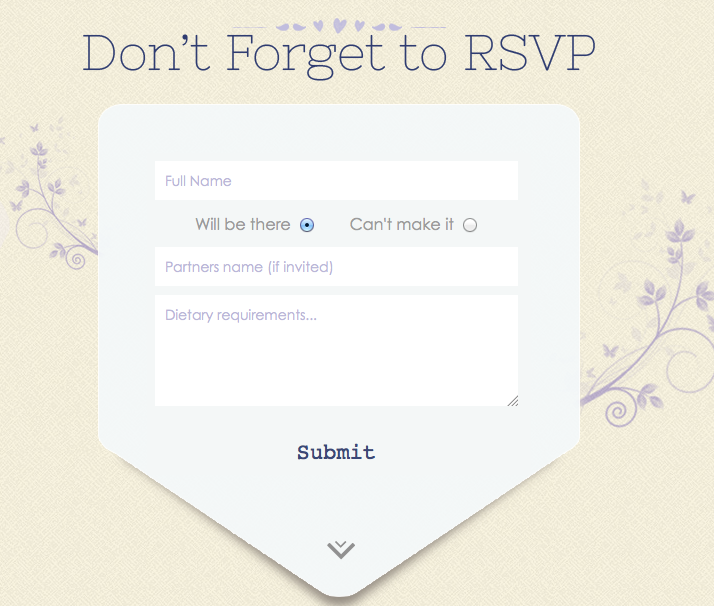 For one, all RSVP's can be managed through The Toolkit, our content management system. Forget having to get in touch or send a letter back saying whether you are going to make it or not, you can simply reply on the website itself. Nearly any question that the guests may have can be answered by looking at the website. What time does the ceremony start? How did Dave and Liddy meet? Who is the best man and when does he make his speech? And then, when all is said and done, and the wedding day is over, the website can be used to show case the photos from the day and a thank you message to family, friends and guests. No need for thank you letters! Are you getting married? Do you think a website like this would help you? Why not get in touch with us to discuss your requirements. And congratulations to the newly-weds, Mr and Mrs Swan! 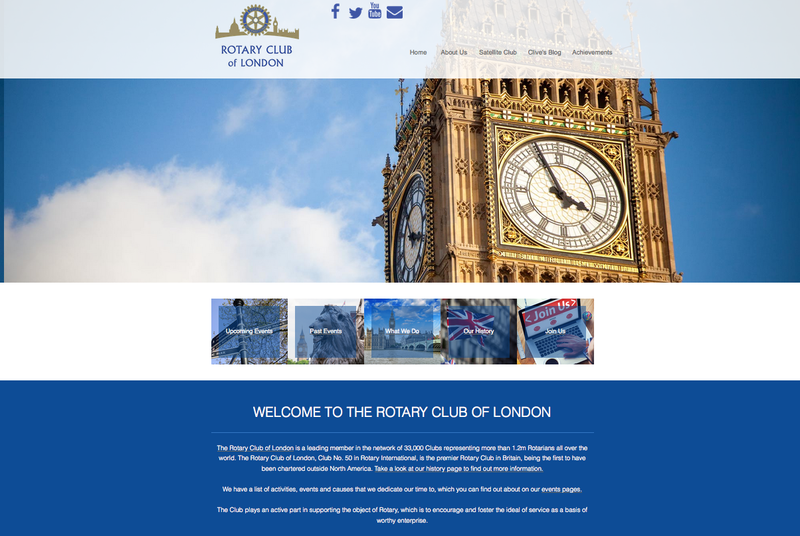 This week's website of the week goes to the Rotary Club of London. The Rotary Club volunteer their skills, time and resources to make a positive difference to the lives of others. Their projects include organising and supervising community events, promoting the achievements of young people, helping those who are disadvantaged or disabled, coordinating educational programmes and working in partnership with local businesses and charities. Senior Project Manager Lanara, initially created a one page website for them at the beginning of the year. This showcased the basic information about the Rotary Club of London, including a brief summary of their events and work. Kaz Aston, a brilliant Rotarian, came back to us to get the website created into a 10 page site, with much more in-depth and fresh content. Lanara maintained the full width panel website, using vivid images, along with coloured panels to separate out the content sections and to make it easy to navigate. Kaz works in PR and has a mass following on Social Media platforms. She has utilised this well, by having us add Youtube videos, Twitter and Facebook links and feeds as well as useful information links to sites and accounts of interest. The about page features a page with links to all of the different Rotary Clubs in the UK and Ireland. Each page uses a bespoke header image, with London Landmarks as the theme. The achievements page, along with the up and coming events page are the two that are the main focus. The achievements page lists a number of newsworthy updates including personal triumphs for the Rotarians. Whether it's celebrating an award, hitting a target, or astounding charity work, there are some inspiring topics on the page with a number of influential people. The up and coming events documents the latest calendar, as well as events that are coming up. This page is being used as the hub for Rotarians to know what's happening and when. Another page that is of interest is the History page, which documents how the Rotary Club of London came about and when. Each page has it's own theme or topic, which makes the site for an easy and enjoyable experience. The website finishes with the Join us page, which outlines the information you need to become a fellow Rotarian. 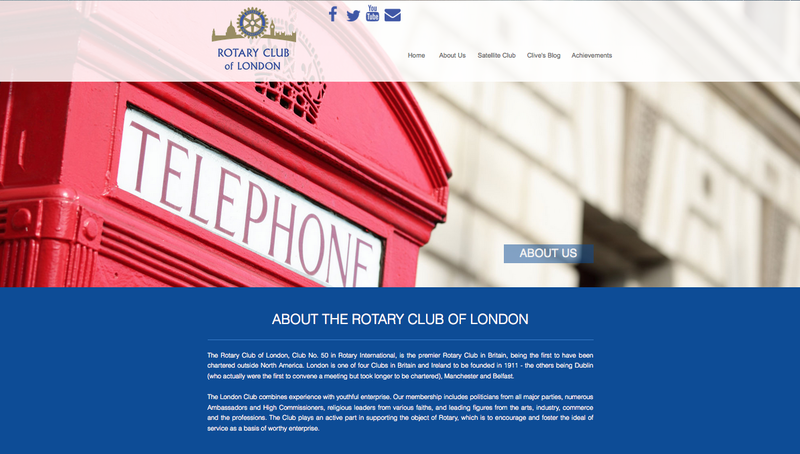 With a fresh and modern look, we've given the Rotary Club of London a new identity. The idea being to revamp and modernise the look of it to show that it's not an out of date community. There are fresh and young members too, and they are on the look out for more to join! We highly recommend taking a look around the site for yourself! Today is National Candy day, because these days there seems to be a day for everything! Just check the calendar we came across, and you'll see them listed. In celebration for sweets, chocolate and naughty treats, we have a run down of our teams favourites. I'm partial to white chocolate. It's more a fetish than a craving. Sometimes I like to melt it on a warm stove and smother myself, head to toe, in Milky Bar. I hate chocolate which has been tarnished by peanuts. Eww eww eww. Yuck. My favourite sweet treat has to be Kinder chocolate. It doesn't matter what type. The eggs. The wafer buenos or the sticks of it. It's so creamy and SO nice. I really don't like anything with Turkish Delight or Marzipan. I've never been a fan of these! I like: Jaffa cakes, Walnut whips, Creme eggs, Turkish delight, Tiramisu, Mint matchmakers, Sherbet lemons, Chocolate mice, After eights, Munchies, Crunchie, Dairy milk, Galaxy, Bounty, Flake, Curly Wurly, Haribo tangfastics (especially the cola bottles,) Haribo star mix, Trifle, New york cheesecake, Creme brulee, Raspberry roulade, Sticky toffee pudding, Black forest gateaux, Vienetta, Neopolitan ice cream, Carrot cake, Key lime pie, Apple pie, Blueberry muffins, Fudge, Chocolate orange and the red and orange ones out of quality street. I don't like: the yellow ones out of quality street! This is a tricky one because there are so many great ones, I would have said Snickers Bar but I will go with something more candy like. My favourite candy is probably the Haribo eggs. With my least favourite being Milk Chocolate in a large quantity, its fine in a small amount but I will always stop after 1 bar. I'm not a huge candy person preferring ice-cream, cake or pastries, but I do have a soft spot for either Milky Bar or Dairy Milk Oreo! My favourite candy is skittles as I love all the different flavours. My least favourite are Oreos as I hate the cream in the middle! 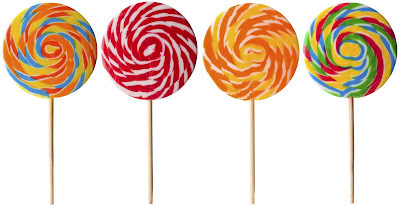 My favourite candy is anything fizzy or sour, especially sour patch kids or the minion sweets. I could probably demolish a bag of either of those within 5 minutes! I actually am not a big fan of chocolate which may come as a surprise! I am pretty sure I still have some Easter eggs left over that I haven't even touched from this years Easter. I think I will just ask for sweets next time. Crunchy M&M's are my favourite. I would like to be able to say that it's just my opinion but it is just a fact they are the best! My least favourite are Revels, who could possible like coffee favoured chocolate?…not natural! My favourite candy is Bounty, Dairy Milk and Double Deckers. My least favourite is Turkish Delight as don't like the taste! Google has a job to do. And that is to provide its users with accurate, relevant, good quality and useful information. The team behind Google are always tweaking its algorithms to get the best of the web, and to improve and enhance over time. If a website gets in the way of Google doing its job, in the simplest terms, it will penalise the website. 1. Your website is not ranking well for your brand name anymore. 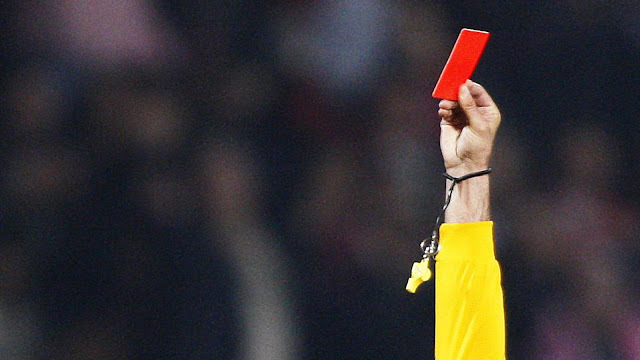 There are other indicators that can mean that your website has a penalty against it. Below, we give you a number of reasons that might warrant your website being penalised. This is not a definitive list, but will give you an idea of what to steer clear of! This could be seen as a way of manipulating page rank, and therefore is black hat. Swapping links used to be a great marketing tactic, but due to Google wanting to provide relevant and accurate results, excessive reciprocal linking to other sites that are of no relevance or connection to you, can mean you will be penalised. This one is pretty obvious. You need to make sure your content is well written, but not only that, it also needs to be unique! Having a page well structured that Google's bots will follow easily is so important. A H1 tag is the title. A H2 tag is a sub title and so on. More than one title is confusing and doesn't conform to the correct set up of a page. Google can penalise for these, because they are irrelevant and quite frankly annoying! There should never be any 404 errors within your site navigation. Keywords within the content should be natural and not forced just to get a good ranking for those words. Only add them if they need to be added, and they sound like they should be there. Google want you to write your content for the benefit of the client or customer on your site, not to try and get a good ranking after indexing! Footer links are okay for extra navigation or as a copyright information holder. But using it to manipulate keyword stuffing is frowned upon. Any links that are not visible to users are suspicious, and Google will penalise if they find them. Google want the user of your website to be happy. If you have a number of broken links on your website, they are not useful or relevant to the user, so Google will penalise. If your website times out, or is down for long periods of time, this can effect you negatively when it comes to Google indexing your website and giving it a good ranking. If your website takes a long time to load, or the loading speeds are poor, Google could penalise. Using any black hat SEO techniques or short cuts will incur a penalty straight away. It's up to you to vet a website before you link to it, whether it's as a source or a reciprocal link. This could also incur a penalty. Google wants your website to be a good experience for the user. You should build your website with the user in mind, not the search engine. It's as simple as that. Unfortunately, when you've received a Google penalty, it's very difficult to shake it off. As long as your website adheres to website best practices, and you build your website with the user in mind, you can't go wrong. Content should be fresh and unique, and your websit structured and well thought through. That's where the professionals come in! At Toolkit Websites we can guide you in the right direction, even when you're live. Get in touch with us today. Barclay's, along with many banks, has faced criticism over it's move to using more technological and automated processes, and closing it's human manned counters. An article in the Telegraph showed an elderly person visiting their local branch only to find that all of the counters had been replaced with machines, in which he found difficult to use, and unlike his usual experience of having the money counted out for him and put inside an envelope. However, Barclays, which has one of the largest high street presence of all banks, says 800,000 customers use its branches every day. One of the reasons technology is being put in place is to help deal with a large volume of people in a shorter amount of time, therefore correlating with a positive experience. And instead of leaving people in the lurch with the machines, there are members of staff labelled 'digital eagles.' These members of staff are there to help first-time or novice internet users to understand how to do their banking online and to assist them in using the latest apps and technology. Banks such as Barclays, are not the only ones using technology to replace human staff members. Supermarkets these days have dedicated self-service areas, and airports have microchip scanners so that you can go through the system without even having to be checked by a manned counter. Cinema's have machine kiosks where you can pay for and collect your tickets. There are self-service petrol stations where you pay your amount on the way out of the station. There are even automated systems in place for paying your utility bills and so on. 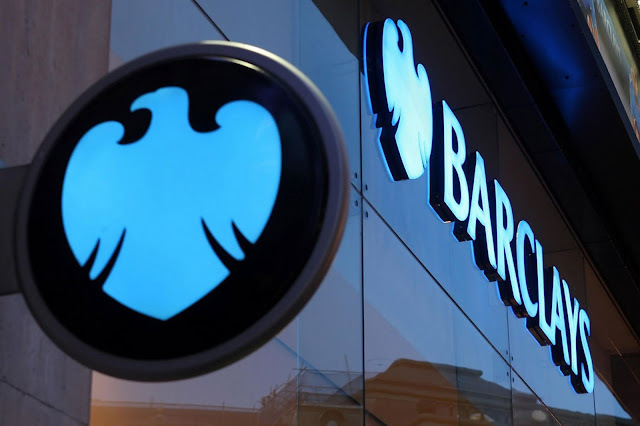 We admire Barclays, mainly because they have put a FREE scheme in place to help those willing to learn, to use technology for banking (and for other areas of their day to day life!) Among the schemes they offer they have Tea and Teach. This is where you can book a session and a topic you'd like to learn about and you can attend a workshop completely free, whilst enjoying a cup of tea! With these brilliant schemes and plans in place, to help those that may need it, the charity Friends of the Elderly, (a national charity providing daycare and support for older people) were delighted to hear about the Digital Eagles. They felt that this would be an excellent opportunity to work together to introduce technology into the lives of clients in their day centres and care homes. Barclay's doesn't just focus on the elderly though, and have a programme called LifeSkills that was put together purely for young people, teachers, parents and children. Barclay's code playground is a particularly interesting one, with monthly 2-hour coding sessions for children aged 7 to 17 in selected branches. Barclay's say: "It’s a really fun way to learn the basics and develop digital skills for the future. Bring your children along with their laptops and our Digital Eagles will help them discover coding." Here at Toolkit Websites, we are constantly working on improving our online systems and our content management system. Like Barclay's we offer unlimited and free training on our services and products. We feel it's so important for you to take full advantage of getting to grips with using those systems and being able to update your website whenever you like. We also want you to feel like you can handle your emails easily too, to make your business run smoother and for a professional outlook. And if you get stuck? We're here via phone or email, Monday to Friday. Give us a call and one of our friendly support team members will be on hand to give you assistance. We always answer the phone within 3 rings! To get in touch with Toolkit Websites, visit our contact page.